Here [in the UK], people have understood. They are worried about the lungs of the planet. So they did something. The indigenous people did something, and the people from here did something. We are fighting together to save the planet. This is very good. It is the first time I have seen a demonstration for our planet. I really liked it. The role of the Church and CAFOD is really important. The Church can defend indigenous people. It cannot let our land be destroyed. It cannot let our people be destroyed. It cannot let our language, health, traditions, music and dances disappear. The Church can speak on our behalf. 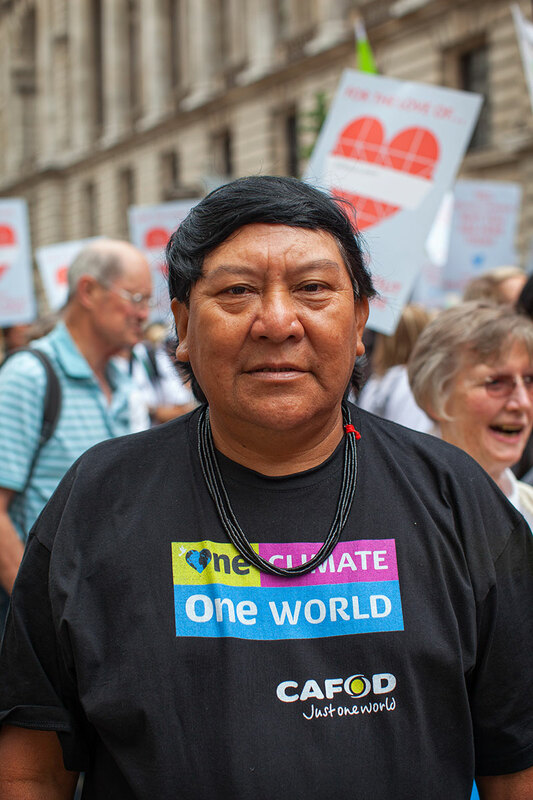 As long as there are Yanomami and our relatives in Brazil and Europe, there will be work to do and we will continue to work and to fight, to speak with other people and with the Government. CAFOD can have campaigns, report rights violations, say when things are wrong. CAFOD can do that. You live far away. We are there in the mountains, but you know that we are there.